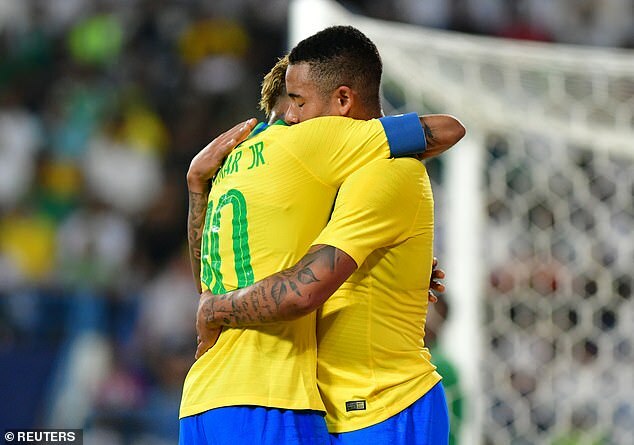 Neymar leapt to the defence of Brazil team-mate Gabriel Jesus on Friday after the Manchester City striker ended his international goal drought against Saudi Arabia. Jesus found the back of the net for his country for the first time since their final World Cup warm-up game against Austria in June. 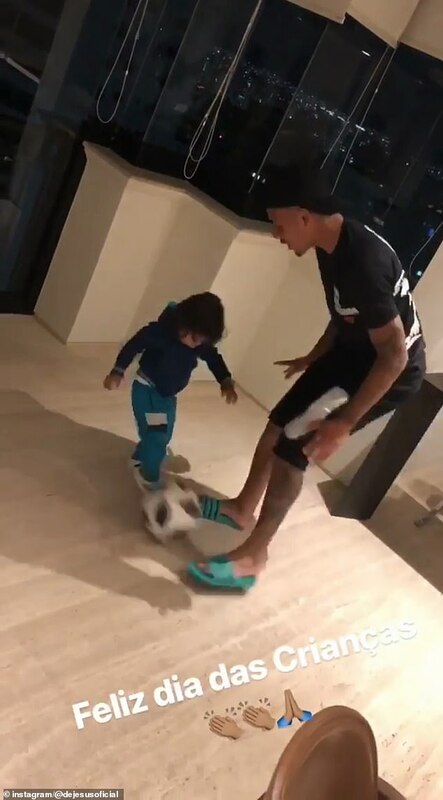 The Manchester City star attracted criticism as he struggled at the World Cup in Russia, where Brazil suffered a surprise quarter-final exit at the hands of Belgium. 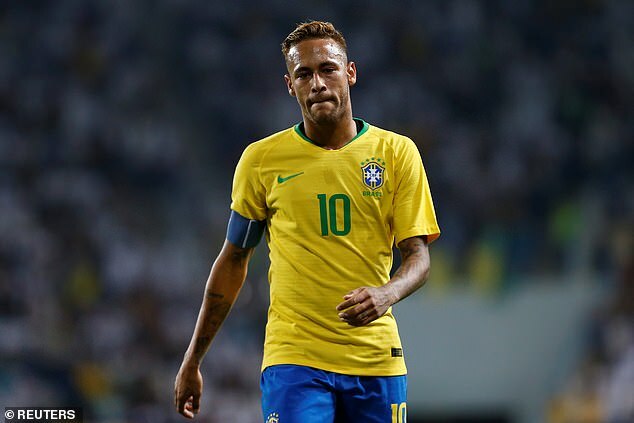 But after the 21-year-old returned to form in the 2-0 win over Saudi Arabia, Paris Saint-Germain star Neymar hit back at the ‘injustice’ of ‘unfair criticism’ directed at his team-mate. 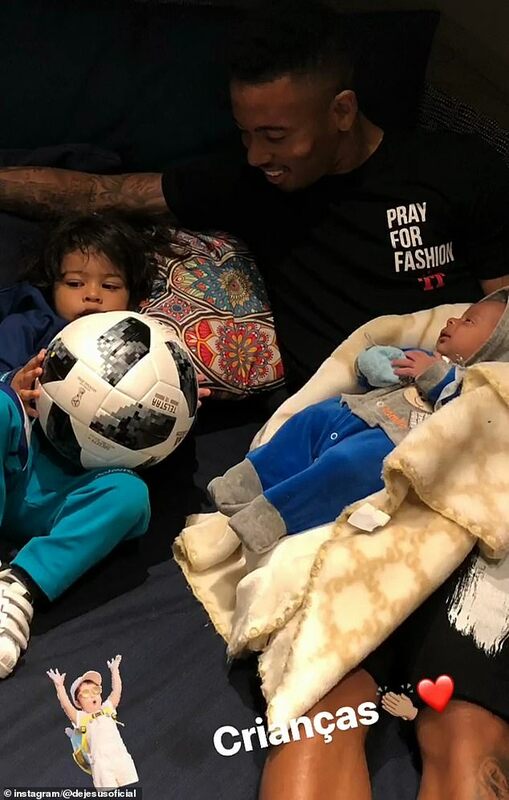 ‘I was very happy to have assisted Gabriel Jesus’, he said after the match in Riyadh. ‘I think there was an unfair criticism on him, for all the work he did for us, for everything he asked for. 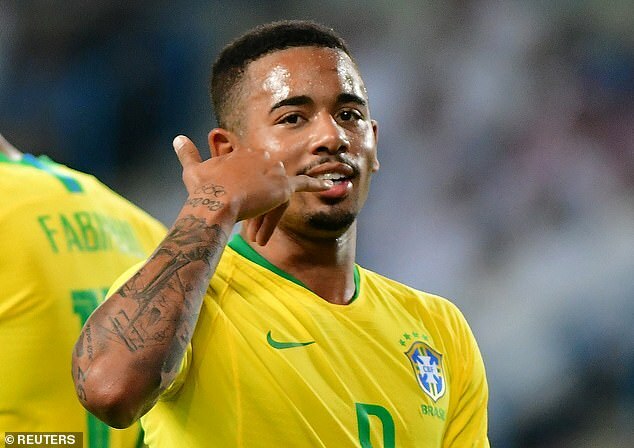 Jesus, making his first post-Russia 2018 appearance, opened the scoring with his 11th goal for Brazil two minutes before half-time. Alex Sandro clinched victory for the Selecao with a last-gasp second after Saudi Arabia goalkeeper Mohammed Al-Owais saw red for handling outside the area. ‘We didn’t produce a great performance, but we were consistent,’ Neymar added. ‘There are even games in the World Cup that have to be like this, you do not present great football, but you end up winning.